june first. 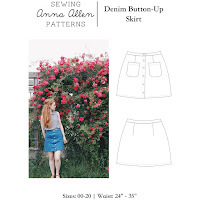 | Anna Allen Clothing Blog: june first. Today I finished a new leather bag I made for myself. It's pretty basic and it fits all my junk and then I could probably fit a bunch of library books on top of it. I tend to like large bags to carry around just in case. 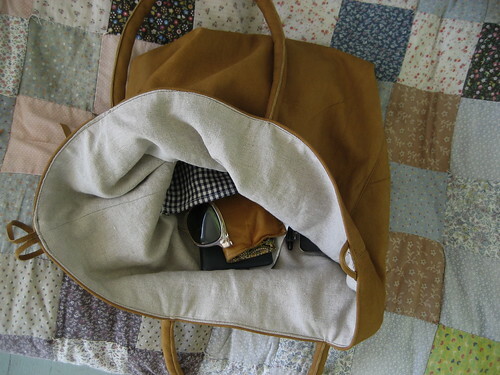 I lined it with some natural colored linen and pockets made of navy and white gingham. I'm pretty happy with it. I also finally finished one of the pairs of sandals I was working on. They turned out much better than I originally thought. Only you'll have to pardon my icky feet. I've already worn those sandals almost everywhere, as you can tell by the dirt. Anna, that bag is great--so simple. Cute sandals, too. My dad used to make a pair of sandals for my mom each summer. What a craft. That is a very beautiful bag. I also love to carry a lot around at once, and that bag seems just the right size! Eeek! That bag is amazing and those sandals look so comfy. Well done! Oh! I don't know where to begin!!! The bag is amazing... I keep eying a piece of brown leather I have in my stash for a bag or belt; I haven't decided which. 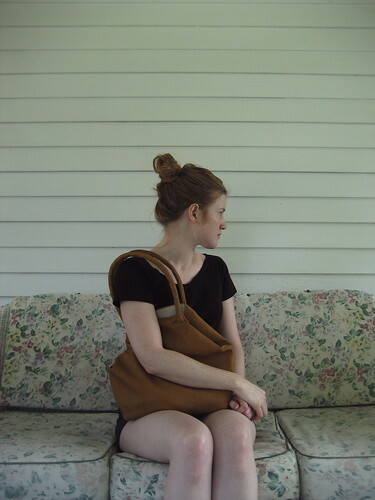 Do you know of any good resources on working with leather for bags? Those sandals are amazing!!! I really, really love how they turned out. Bravo! nice job on your projects, i like. thanks for the desktop link, it is sweet. cute shoes...all your photos are beautiful! Very nice bag. I love huge bags also and people always wander what I have in my bags. Sometimes I don't like it because I can't find my things...keys...lipstick and such. Cute bag, I love big bags too! Especially, with me, so you can carry art supplies around with you. But, as of right now I have a small one...maybe I'll have to invest in a bigger one, or make one like you did! So cute. :) And, that desktop calendar is super cute. Fun and fun- You are all over the place with your projects...feels like Im looking at my own blog as I look at yours! Excellent! Nice. Great job! When are you going to start selling these? 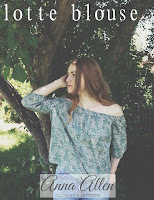 I just came back to your blog after a while when seeing that interview elly fales did with you on her blog. I'm so excited that you've started your own clothing line! congratulations! I'll have to keep an eye out for more of these bags if you decide to sell them - I love a big bag, too, and I've been looking for a beautiful diaper bag (baby due in Oct.) that doesn't look at all like a diaper bag - this is gorgeous. Way to go on the sandals, too. wow, I LOVE that bag! Such a beautiful bag! I'm really a fan of the simple style and the natural colors. The combined effect is so refreshing. Do you have any suggestions for buying and sewing with leather? Beautiful photos! Love the bag.